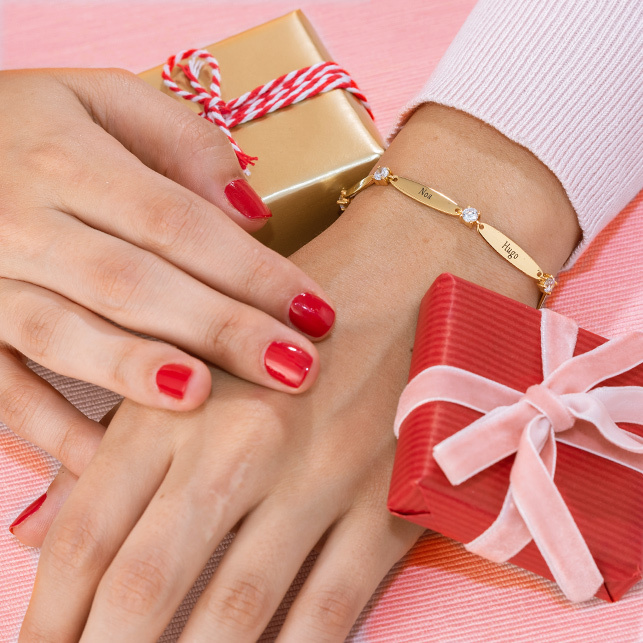 Looking for a meaningful gift she’s certain to love? Our Engraved Infinity Bracelet Rose Gold Plated with Diamond makes the perfect Valentine’s Day gift, and is just right for any other occasion. 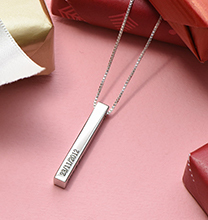 A beautiful piece that symbolises your everlasting love, this infinity name bracelet is crafted of fine sterling silver and 18ct rose gold plate. 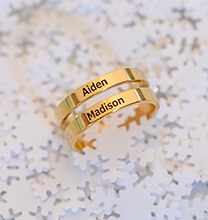 A single inscription – perhaps her name, your name, a child’s name, or even a meaningful word – adds even more meaning, and a single accent diamond provides just the right touch of sparkle. 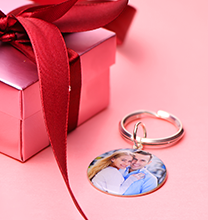 A rolo chain with a clasp provides a delicate appearance while offering a secure fit. 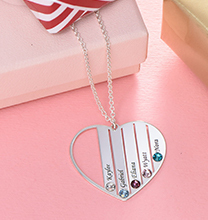 This piece is a lovely addition to any collection, as it pairs beautifully with other diamond jewellery pieces and is easy to mix and match with a variety of styles. 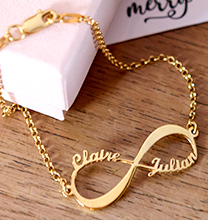 Be sure to see our infinity bracelet collection for even more options, including this popular style in your choice of sterling silver or 18ct gold plate.